What If My Loved One Is Cremated? 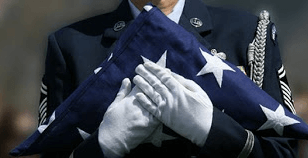 At Kramer Funeral Home, if your loved one is to be cremated, it is our practice Kramer Funeral Home the burial flag to which they are entitled will drape your loved one's cremation container when they are transported to the crematory. This flag will be folded and either returned to you (if there are to be no services) or brought to the memorial service for display and/or re-folding and presentation by the Honor Guard. If your loved one is eligible, we will apply and procure a flag for your family as part of our basic professional services, regardless of the funeral arrangements you select. However, you may elect to apply for the flag on your own by completing VA Form 27-2008, Application for United States Flag for Burial Purposes. You may get a flag at any VA regional office or U.S. Post Office. The law allows us to issue one flag for a veteran's funeral. We typically cannot replace it if it is lost, destroyed, or stolen. However, we do understand that accidents happen so if you should need a replacement flag, please contact us to discuss your options. The proper way to display the flag depends upon whether the casket is open or closed or displayed next to an urn. 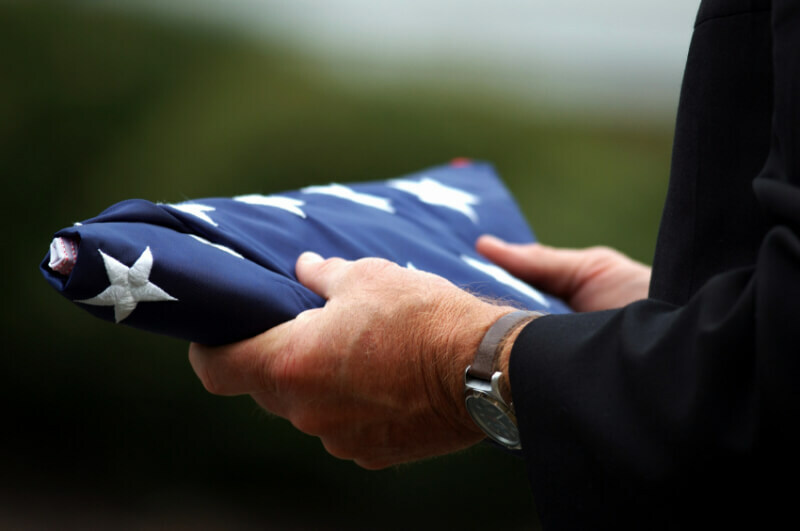 Our staff of professional, licensed funeral directors are trained in the proper way to display the flag for funeral and memorial services and will oversee these details on your behalf. The burial flag is not suitable for outside display because of its size and fabric. It is made of cotton and can easily be damaged by weather. For this reason, we offer a variety of wooden flag cases to purchase for you to store and display your loved one's burial flag.